For a brief moment, it looked like the United States had momentarily escaped the constant violent protests perpetuated by Black Lives Matter and related organizations. After the last notable protest in Dallas, Texas concluded with five dead police officers, Black Lives Matter seemed to lose what little momentum and goodwill Americans had left for the chaos organization. Now, less than two months after that July 2016 attack, Black Lives Matter is back — and for no good reason. An armed African American in the Milwaukee, WI area was killed by a police officer who also happened to be African American. Still, this development once again aroused the anger of Black Lives Matter, and the organization is once again spreading violence across the city. This time, however, they seem to be vowing to take it further than ever before. 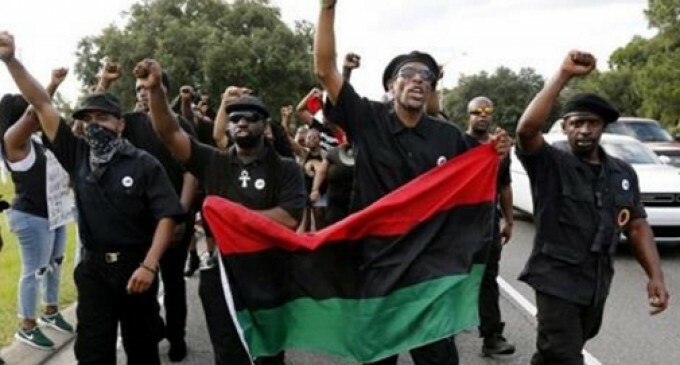 The new black panther was something obama help create he brought in blacks from kenya’haiti, somalia,south africa to help create the new black panthers, and you may ask why.this is why because the hate white people thats why.